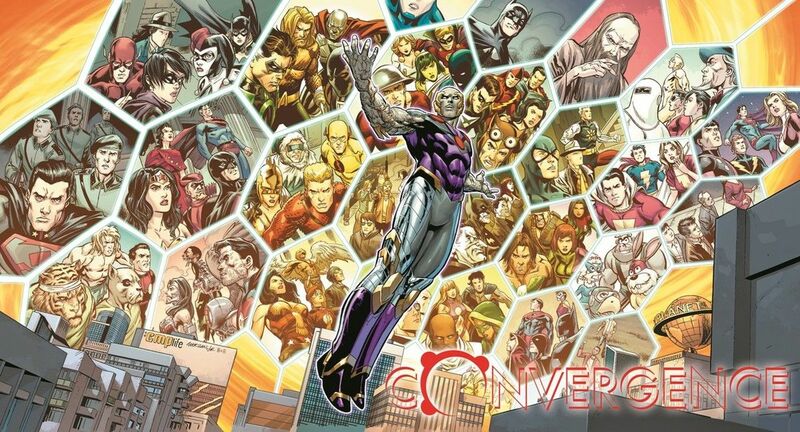 DC’s Convergence event came and now it is over. I have to be honest I had a hard time caring about anything that happened during this event. 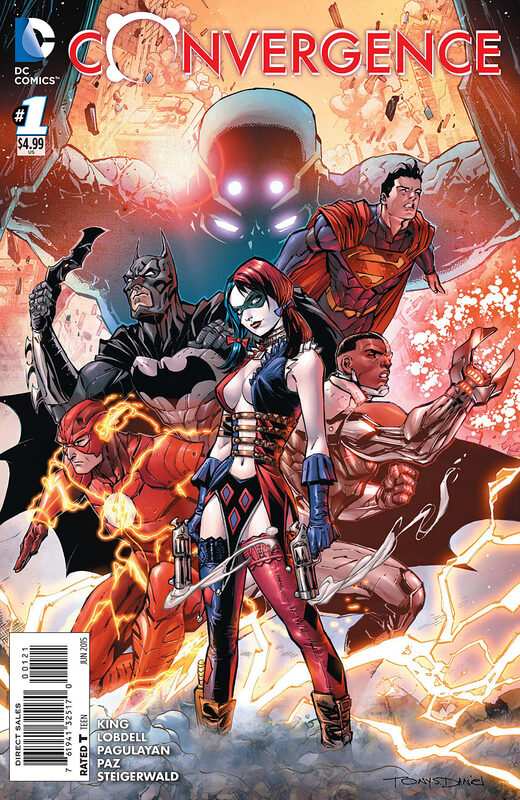 It was basically a continuation of the story from the Earth 2 title (which I have not read) with a lot of cameos. So for people who have been consistently reading DC for the last few years I am guessing this event was a lot more interesting than it was to me. A cyborg zombie version of Brainiac has been stealing cities from different universes and storing them on this planet Telos under shielded domes. Then Brainiac is gone and it turns out Telos is a living planet and it decides to force all the different cities to fight to the death. The city champion battles are what happens in all of the tie in material but it has no effect on the main title. Also some of the heroes seem weirdly eager to murder each other. Meanwhile the Earth 2 characters are trying to survive on Telos. Then this guy shows up and the series main weakness starts to show. I know when I first saw him I wondered who the hell he was. It turns out he is Deimos the main villain from the old Warlord series. At that point Convergence half becomes a Warlord relaunch platform, or at least it seems that way. Basically the Warlord and his family show up and somehow Deimos becomes the main villain of the event instead of Telos. Then it turns out that Telos is not really a planetary intelligence but something else and we don’t even get to find out who or what by the end of the series. And then Brainiac shows up again and it looks like he will take his place as the main adversary of the event but then he doesn’t and actually helps save the day at the last minute. So throughout the series the villains and stakes are constantly shifting and even then they are kind of vague. 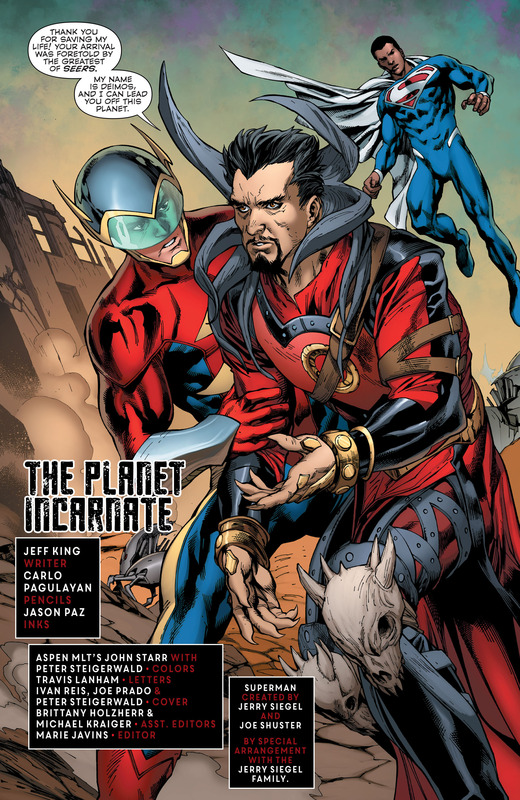 In the end everyone goes back to their own universe and the Earth 2 characters get a new planet by settling on Telos. So that’s nice for them. I suppose this might mean a new Earth 2 series at some point. Overall the event could mean a lot of things because continuity was reset and now every other multiverse story ever is now valid again. This means that all the pre-New 52 continuity content could continue is DC wants it too. It means that the Stephanie Brown and Cassandra Cain Batgirls get to exist again. It means there are versions of Supergirl again that were shorts or skirts instead of weird crotch shields. It means a lot things could get redone/relaunched/rebooted. 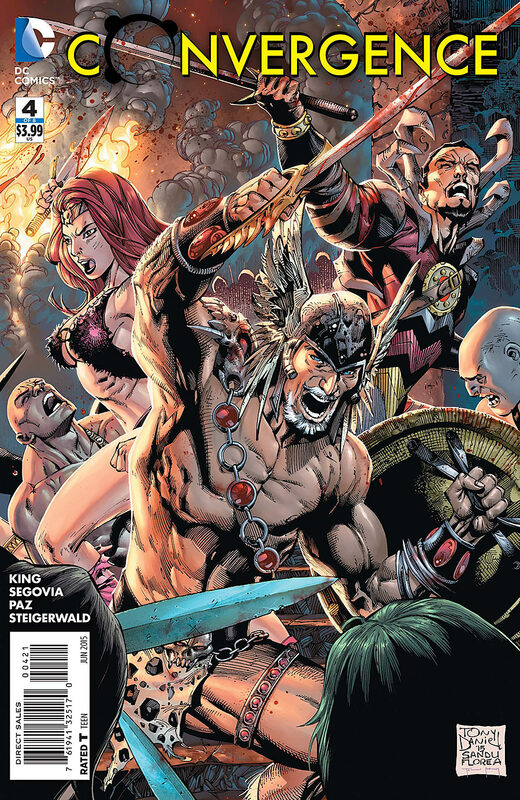 Although that Warlord relaunch is looking a bit shaky since they killed off half the character during Convergence. I did not care that much for Convergence and I think it still feels like DC is just randomly pulling things out of a hat but maybe there is hope for their future.